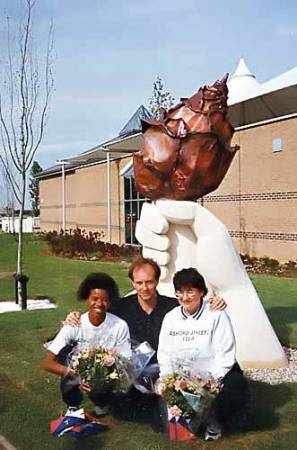 Stone and copper sculpture marking the entrance to the Julie Rose Memorial Stadium in Ashford Kent. Project included mentoring of Open College of the Arts student Bill Hackney. 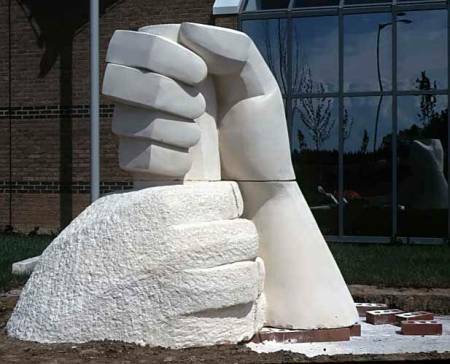 Commissioned by Ashford borough council. May 1997.